German based Dj and producer Goeran Meyer first discovered his love for electronic music and the underground scene after visiting the legendary Love Parade festival in Berlin which soon saw him running his own succesful clubnights and events in his native Mageburg and the surrounding areas, sharing the booth with the likes of Bill Youngman, Markus Welby, Cannibal Cooking Club and Hanno Hinkelbein amongst others at leading venue's such as the infamous Tresor and 1040 Leipzig. 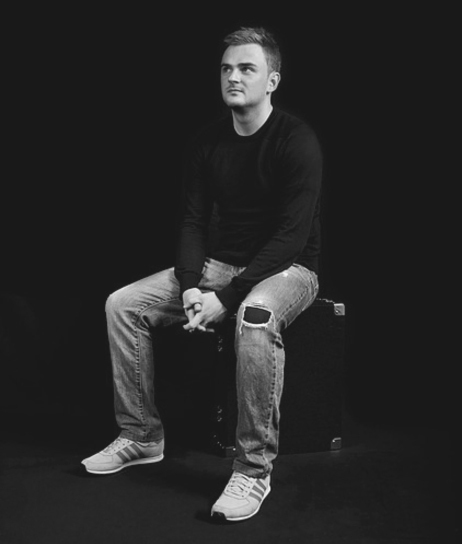 His career then took the natural path into the exciting yet daunting world of production with his introverted personality shining through his bass-heavy, dancefloor based sound. Quickly building himself a solid foundation for his music signing tracks to the likes of Tulipa Recordings, Wonnemusik, Fine Beatz and Infradig whilst gaining awareness from high profile brands such as Joop !, Schwarzkopf and Syoss who loved his deep, underground tech house beats. Since joining the Revolucion team late in 2013, Goeran has continued to shine both in and out of the studio, his stunning Live production sets gaining rave reviews and his music finding itself in the playlists of leading figures in the underground scene such as Richie Hawtin, Marco Carola, Behrouz, Stacey Pullen and Terry Francis.